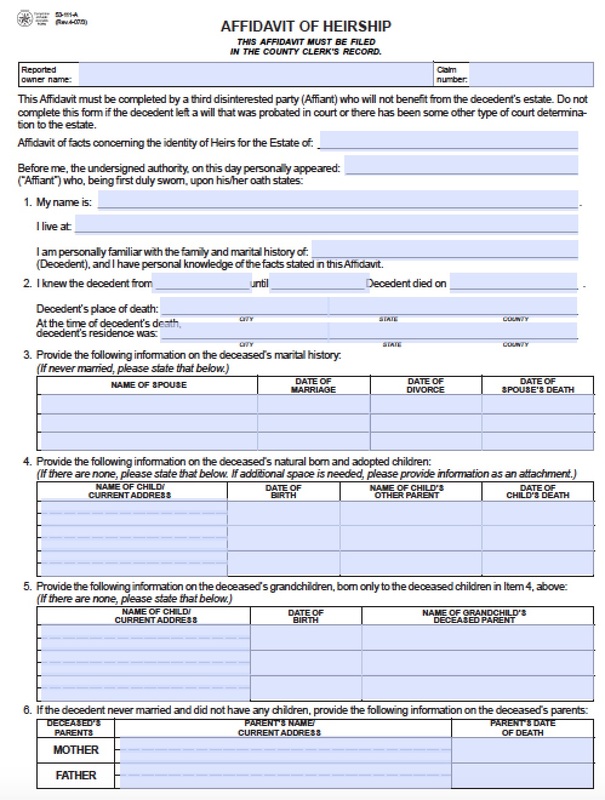 Texas allows successors to file an affidavit of heirship for motor vehicles if a loved one passes either without a will, or a will that the probate court decides does no need a legal administrator. 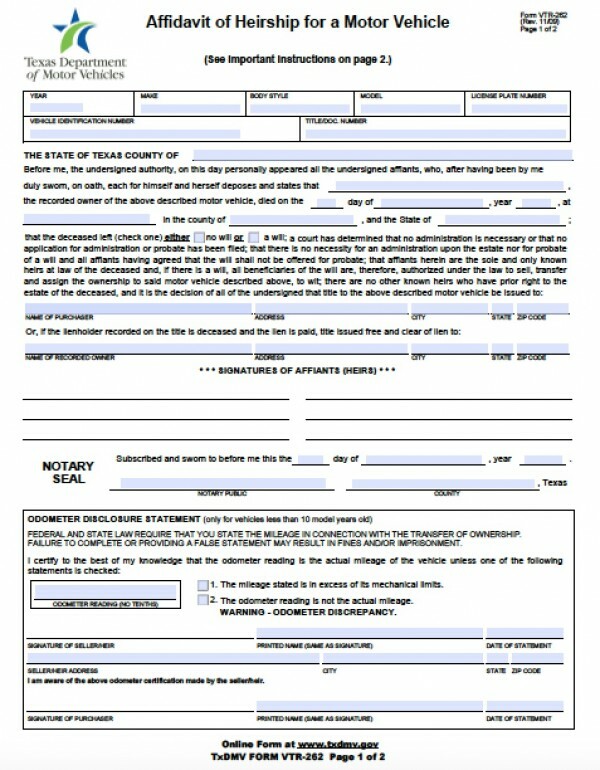 To claim the titles of motor vehicles owned by a loved one who passed away, the successors should file the affidavit of heirship for motor vehicles with the Texas Department of Motor Vehicles (DMV). The total value of the estate may not exceed $50,000. As of 2014, the affidavit is governed by Tex. Est. Code § 205.